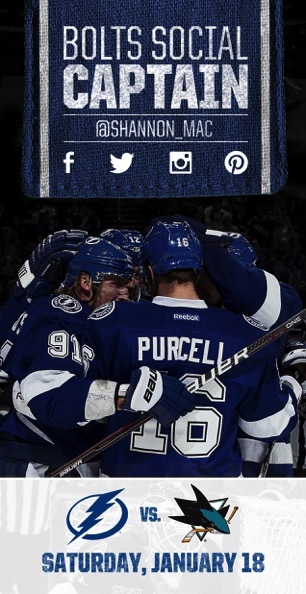 January 17, 2014 – Shannon will serve as the Tampa Bay Lightning hockey team’s ‘Social Captain’ at their game on January 18th at 2pm. As a part of a social media campaign, McIntosh will ‘live tweet’ her experience as she will get behind the scenes access to the stadium before and during the game. Be sure to follow SM on twitter at @SHANNON_MAC and instagram @shannmcintosh to be a part of the fun!